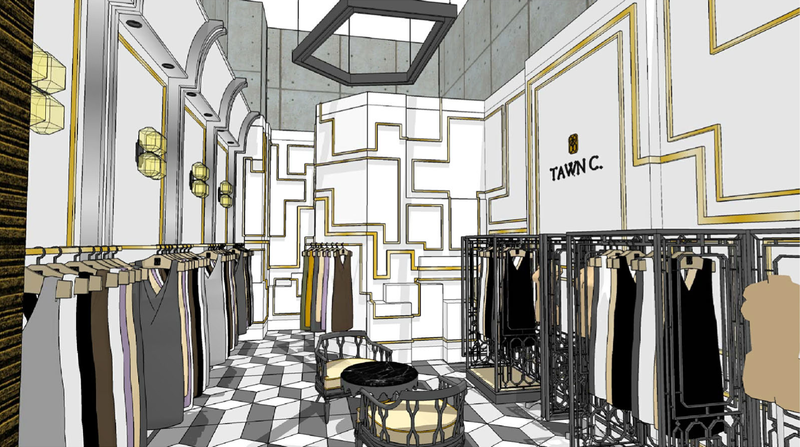 Just over a year after opening his first boutique at the Central Chidlom department store, Tawn is close to opening his first flagship TAWN C store at Gaysorn Plaza mall in Bangkok. This stand-alone store will offer him greater control over the space compared to the boutique in the department store. He will have a locking front door, the ability to play his own music, and won’t have employees of other brands traipsing through his space on their way to and from the stock room. The design for the store was done by our designer friend Ble, who designed the boutique and our condo, too. 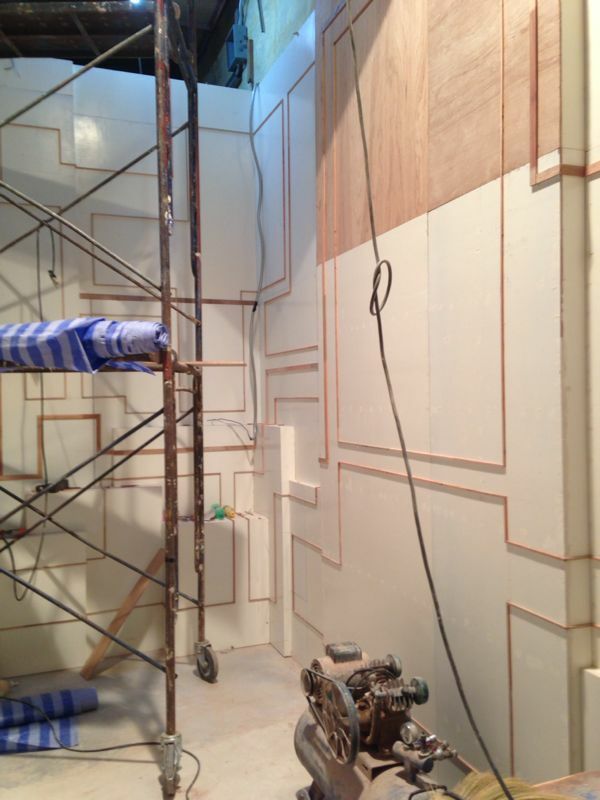 The feel of the space will be very modern but sophisticated, with walls divided into large pixels with molding. It should be very nice. At this point, the hope is that the store is ready to open next week. The picture above is from a week ago. The big question is whether the carpet is ready for installation on time. I suggested that Tawn should do a photo shoot with his models in hard hats in the construction zone of his store. He didn’t think that was a good idea. This entry was posted in Tawn C and tagged Boutique, Construction, Design, Fashion, Gaysorn, Mall, shop, Store, Tawn, Tawn C, Tawn C Designs by christao408. Bookmark the permalink. What is your function in this big store ? Buyer, seller, owner ??? Thanks for your visit and enjoy Bagkok. Thanks – it sure is. This is lovely and am sending good vibes Tawns and your way for total success. Thanks – we’re hoping it all goes well!